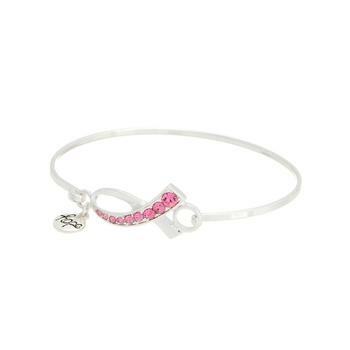 Goldtone or Silvertone "Hope" Rose Rhinestone Studded Ribbon Bangle Bracelet. 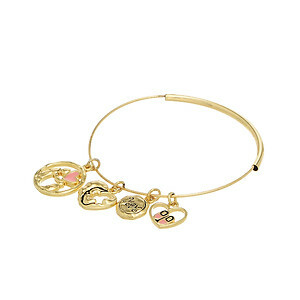 8" hook bangle style bracelet featuring a rose rhinestone studded ribbon focal accented by a "hope" engraved charm. 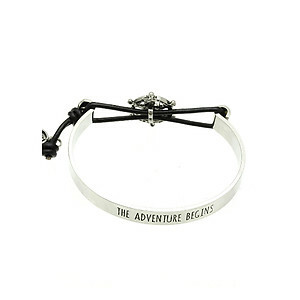 This bracelet is perfect for yourself or for gift giving.